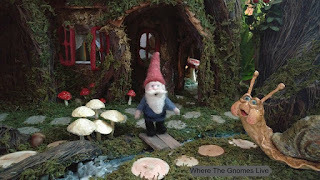 Please note: I moved to a new facebook page this year called, Where The Gnomes Live. Now all my social media sites have the same name. I wanted to just change the name of my original fb page but fb wouldn't allow me to do it, boooo! I lost over 11 thousand followers.. well, I didn't lose them, I'm still waiting for about 10 thousand of them to move over to the new page, haha they are taking their time to move over with me. 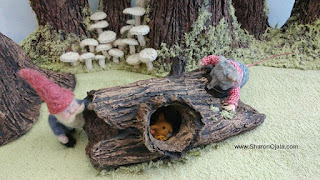 Anyway, go to Where The Gnomes Live on facebook, I update there a lot and you're missing out on all the new and exciting things. See you there! 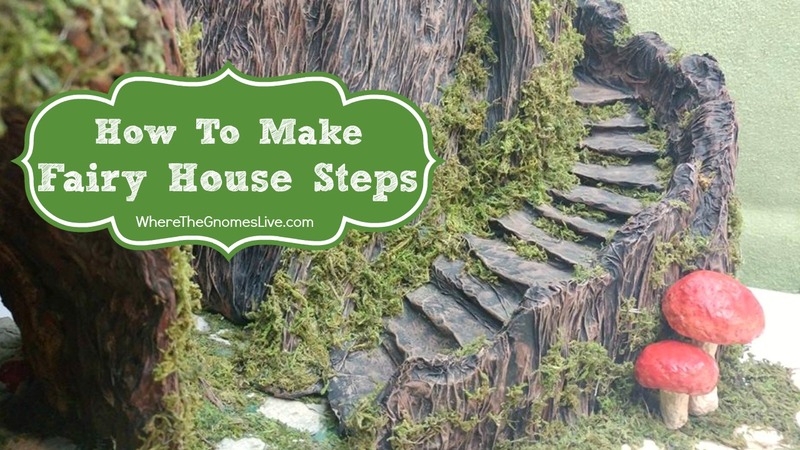 I hope you enjoy the video tutorial on making steps for your fairy or gnome homes. Hello! How is everyone doing out there? 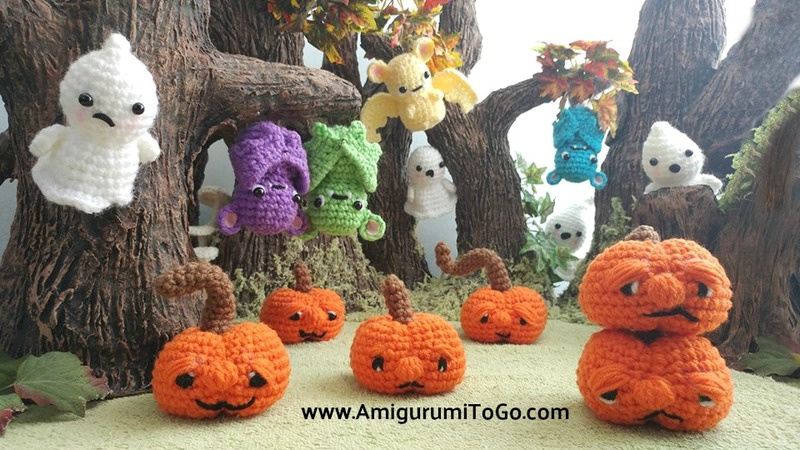 I'm popping in to show you the Halloween pattern set I've been releasing on my other blog. 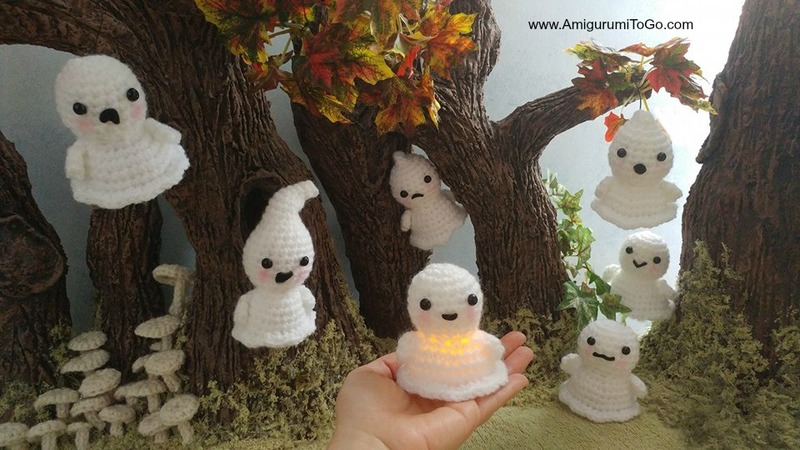 A crochet Bat, Ghost (it lights up) and Grumpy Pumpkin. I thought they looked awesome today with my paper clay trees! If you crochet the patterns are free and come with videos to help. I haven't yet released the Pumpkin pattern but will be in the next day or so. I'm just busy all the time! If I'm not building then I'm crocheting. There is no rest for the.. wicked? I'll be back to work on something for the Gnomes soon, but first a pumpkin! 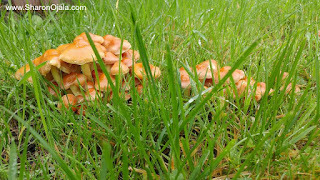 I'm no expert, I had to google them to find out they are sulfer tufts and they are poisonous. But oh my goodness, aren't they fascinating to look at! I love the cluster they grow in and that gorgeous color. I found these ones yesterday (October 8th/2018) in my backyard growing over top a root I had cut down to ground level earlier this year. 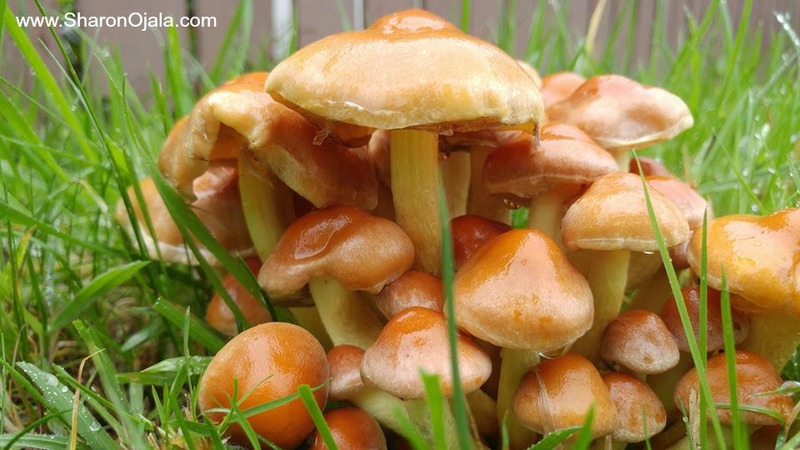 The root must be rotting beneath the ground making it a perfect environment for these to grow. 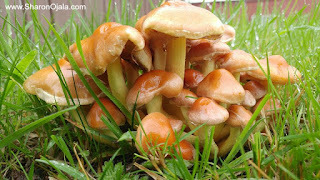 My kids are just as fascinated with them as I am, in fact, it was my son that came in to tell me these were in our backyard. We take pictures when they see them but we all know to never touch them. I don't have enough knowledge to determine in an instant which ones are safe and which ones aren't. Some say a toadstool refers to inedible or poisonous mushrooms and mushrooms refer to the edible ones. As I said earlier, I'm no expert so call them all mushrooms, as many of us do. 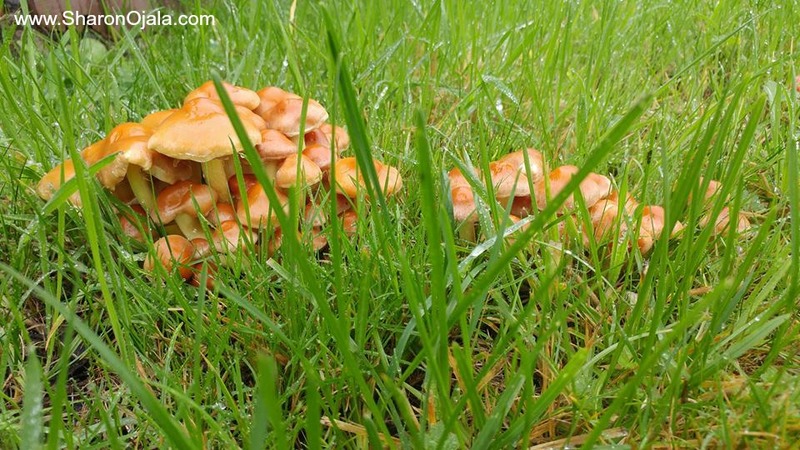 I guess I can safely say the ones growing at this moment in my backyard are referred to as toadstools. 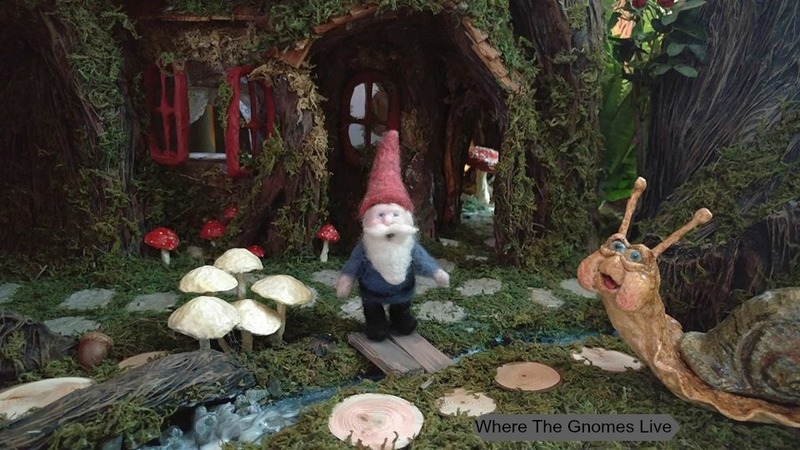 While you're here, why not check out my youtube channel, Where The Gnomes Live. There I have video tutorials showing how I make trees, mushrooms, and whatever else I feel like making. 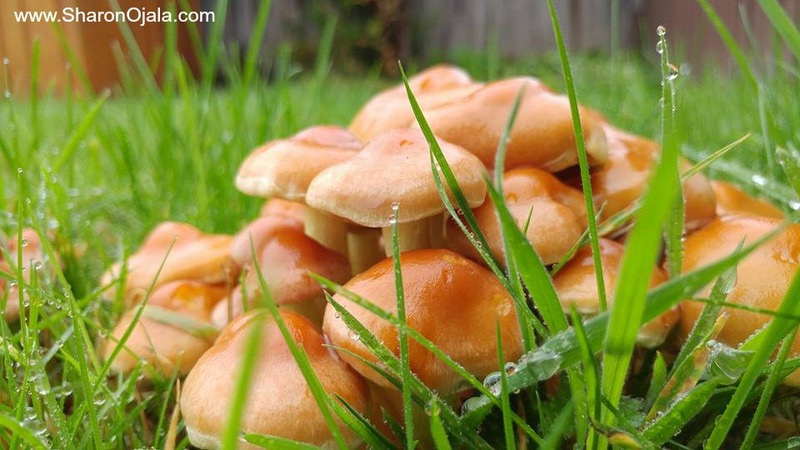 You could make a gentle old tree holding a handful of mushrooms like the one pictured. 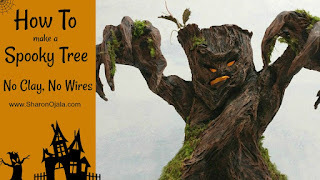 I made him exactly the same way I show you how to make this spooky tree with glowing eyes and creepy finger branches in this video tutorial. A Haunted Tree two years in the making! Okay, it didn't take 2 years to make, lol but I started this project 2 years ago. Due to unforeseen circumstances I had to put everything on hold. Now it's October 2018 and here we are, finally. I'm so happy to have this project done and a tutorial for all of you, in time for Halloween! Don't forget to give the video a thumbs up if you find it helpful. Also, subscribe to my channel to get notified each time I have a new upload. Thank you and enjoy! Getting ready for Halloween with a haunted tree guy. 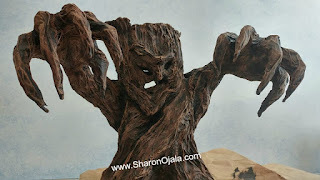 He's freaky but one can be made less scary, like say, if you want a gentle old tree you can totally do that with this tutorial that will be released in the next couple days. This one can hold candy at the top too. There's no clay or wires so anyone can make one! Watch my facebook page or instagram for the release of the video. 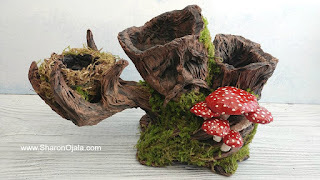 UPDATE: The video tutorial for this tree is here. Ever see a Pocket Ghost? They glow if you can catch one! I released a crochet pattern and a video for the ghosts on my other blog here.